Chiropractic is a branch of health care that deals with disorders of the nervous and musculoskeletal systems and the impact of these disorders on the overall health of an individual. Chiropractic therapy deals with the prevention and treatment of neck pain, back pain, pain in the limbs and joints, headaches and other related conditions. Chiropractors are trained professionals who deliver chiropractic therapy to patients. Chiropractors have broad diagnostic skills that help them diagnose the cause of a painful symptom. They also have the skills and knowledge to suggest a rehabilitative or therapeutic strategy to resolve the painful condition of the patient. Spinal Adjustments and Manual Therapies: Chiropractic adjustments or manual manipulations are popular chiropractic therapies for treatment of lower back pains. Here a chiropractor applies manual manipulation on the vertebrae to adjust the vertebrae back to its normal condition. The manual adjustments may reduce the subluxation and nerve irritability and thus increase the functionality and range of motion in the affected region. Electrical Nerve Stimulation: Similar to acupuncture therapy where needles are used, electrical nerve stimulation involves the placement of electrodes at various points on the skin and passage of light electrical pulses through the electrodes to the different areas of the body for reduction of pain and inflammation and putting a check on muscle spasms. Massage Therapy: Massaging helps improve painful conditions by enhancing blood circulation and thus speeds up the body’s own healing power. Ice and/or Heat Therapy: Heat and ice therapies may be adopted by chiropractors to bring relief to the patient from back pain or muscle spasms. Ice and heat therapies may be alternated in repeating cycles to heal the affected area. First, ice pack is applied to the affected area for 10-15 minutes for numbing the area. Next, a heating pad or wrap c an be used to restore blood flow to the affected region. Rehabilitation Exercises: Exercises help patients overcome neuro muscular diseases to a great extent. Efficient chiropractors like the chiropractors of Gilbert AZ instruct the patients to follow a set of stretching and strengthening exercises to improve their condition. Advice on Lifestyle Changes: Chiropractors also advise the patients to adapt a number of lifestyle changes. Often, the work conditions of a person may subject the person to neuromuscular or musculoskeletal problems. Chiropractors will advice individuals subjected to such work related conditions ways and means by which they can overcome such situations in the workplace which subject their body to further stress. Chiropractors may also suggest dietary changes to a healthier and more nutritional diet that will fasten up the healing process. The patient may need to undergo a number of changes and modify the way they lead their lives to check the source of their problem or speed up the recovery process. Feet (or more specifically hind limbs) are one of the most important organs in the human body as it carries the weight of the entire body. Unlike other mammals that walk using their forelimbs as well, the entire human body is balanced between the two hind limbs only. This is precisely the reason why many who do not practise or carry out special care to their feet bones and muscles often face problems in the joints and ligaments at their middle age. Therefore, it is extremely important for people to take care of their limbs so that they are nimble and they are not in stress at any given point in time. On that front having a lean and light body helps as well. Recently in Gilbert it is seen that victims of feet pain mostly face issues in the joints and ligaments which may include cramping muscles, hammertoes, bunions, fallen arches and many more. During any such occurrence of pain in the feet, victims are requested to visit and seek guidance from their doctors or podiatrist in this regard. There have been various studies and clinical researches on the precautions and exercises that can be practiced in order to prevent feet pain. Consult a doctor or podiatrist – Whenever there is pain in the feet, identification of the symptoms are extremely important. If the pain is intense and is accompanied by swelling, discoloration or bruising, and the same do not alleviate even after application of ice and sufficient rest, then there is a chance of a fracture or dislocation of a bone. Whether you stay in Gilbert or not in such cases, the victim needs to consult a podiatrist on the recommended therapy that can be undertaken. Toe-lift Exercises – The flexors and extenders are the crucial muscles in the toes which controls the gait of the person and chances of experiencing foot injuries during any accident. In order to ensure flexibility and durability of these muscles, people are advised to try toe-lift exercises where in they try to raise one toe at a time, and then practice lowering the same one at a time. This immensely help in gaining flexibility in the toe muscles. Marble Exercise – People could also follow the marble exercise in order to improve the condition of their intrinsic and extrinsic muscles which prevent many a foot problems. In such an exercise, people have to sit on a couch and then pick up marbles using their feet and place them on a bowl. The same has to be done using both feet. Strengthen calf muscles by performing calf raises – Calf raises is an extensive exercise which has an impact on the calf muscles. In this exercise, the user first needs to stand in front of a wall and then raise his body on his toes. In order to ensure that he does not fall over, he can take support of the wall. Following this position, the user needs to lower the feet to the ground while maintaining posture and then again raise it. Doing these 10 times a day would ensure lot of strength in the calf muscles. Toe Extension Exercise– This exercise is performed by wrapping a rubber band around the middle of all five toes of the one foot. The rubber should not have high resistance so that it can strech.Now you have to stretch all of your toes apart which will cause the rubber band to stretch as far as it will go. Then hold the stretch for around five to six seconds and then relax your toes. Perform the stretch for about five times on each foot. Are you facing an orthopedic condition, an injury or something that needs to be treated or operated immediately? It is always better to consult reputed orthopedists before you go for surgery. You are no one to decide that even if you family or relatives tell you that there is no other way to recover. Yes, there is an alternative to surgery when it comes to injuries, tendonitis, and tissue damage or ligamentous problems. It has been developed only recently and it better known as PRP therapy or Platelet Rich Plasma therapy. What exactly is PRP (Platelet Rich Plasma) therapy? As we all know (or maybe don’t), the platelets in our blood are responsible for repair and regeneration. Whenever there is an injury of some sort, the platelets are released into the main blood stream and they bring about clotting and start repairing the area of injury. This is the science behind the renowned PRP therapy that involves injecting plasma rich in platelets and stem cells to heal the area of injury. And yes, sometimes it is even better than an extensive surgical procedure. Generally it is the sportsmen or the athletes who readily benefits from such costly procedures like the PRP and Stem cell therapy. It is because they may not have the time to afford in an extensive surgery. Of course, if their orthopedists suggest that a surgery is must, then they have no means to escape. But otherwise, they can do without surgery by pushing PRP injections and get into form within few days. What is the main difference between PRP and Stem cells therapy? 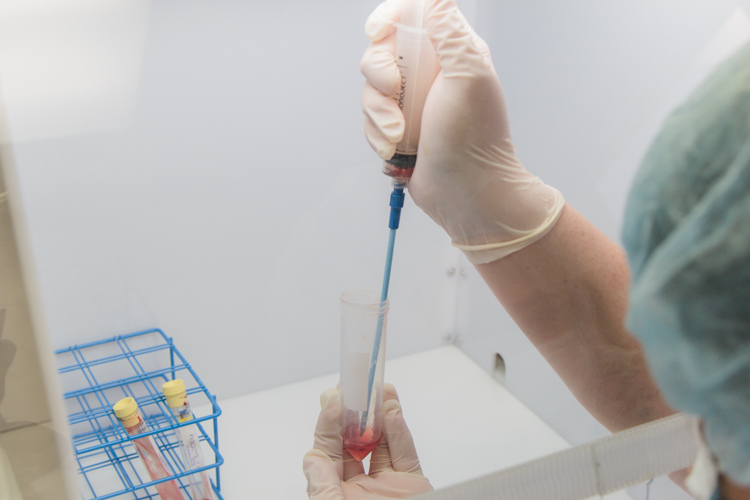 If you are thinking that PRP and stem cell therapy are the same, you are a little wrong. Yes, they work together but they are not the same. While PRP is a serum with high concentration of platelets taken from your own blood stream to accelerate the repair and regeneration process, stem cells are more beneficial in terms of repair and growth. If the two of them act together, the patient may recover in lightening speed. Stem Cells therapy is thus considered better and quicker showing higher success rates than taking PRP injections. Hence, most orthopedists recommend the stem cell therapy for patients with minor soft tissue injuries or ligament problems. In this way, they are saved from the hassles of surgery. If you are looking for a clinic that authorizes such expensive treatments to be performed in Mesa, you should always look for a reputed orthopedic surgeon. These treatments are comparatively new in the medical world are expensive as well. So, it is advisable to go to the one who possesses all know how information regarding the procedure and its side effects, if any. Yes, it is understandable that you are in big hurry to recover from that injury; otherwise you won’t have considered the option at all. But, still, do some researches on the reputed Arizona based orthopedic surgeons before you finalize anything.